brand new Cabela’s version of a pelican 1750. 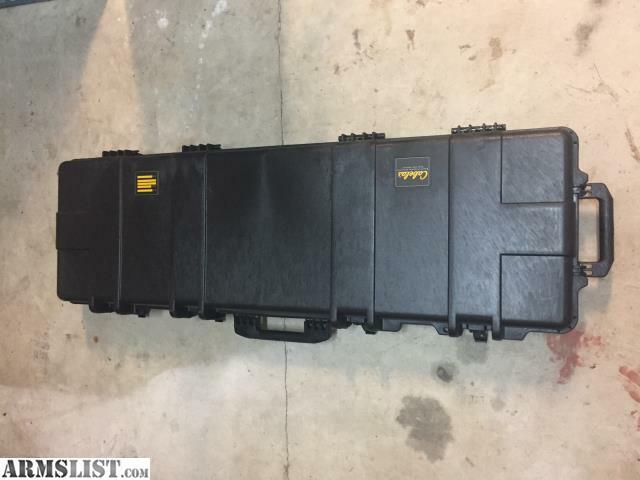 Double rifle case with 3 layers of foam. Foam is cut foam not pluck foam. Had 2 padlock spots and wheels on one end for easy travel. thisnis a heavy beast of a case. I bought one for me and one for a friend that doesn’t want it.